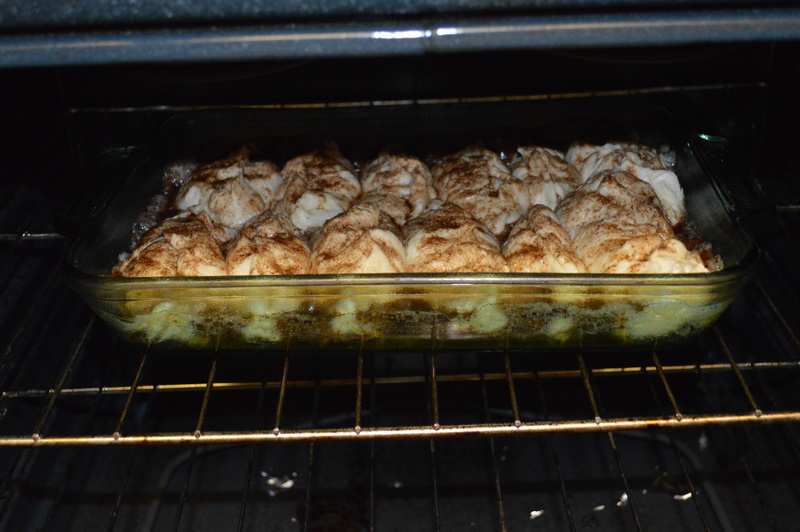 Today’s recipe entailed a little bit of love and effort, but the results were incredible! 1 packet of Rapid Rise Active Dry Yeast, 1 cup of tepid water, 2 1/2 cups of flower, a tablespoon of sugar, a pinch of salt, and for this sweet treat, I added about a teaspoon of vanilla for extra goodness. After dough sets for 5-10 minutes, tear it into 12-13 balls depending on your preference. 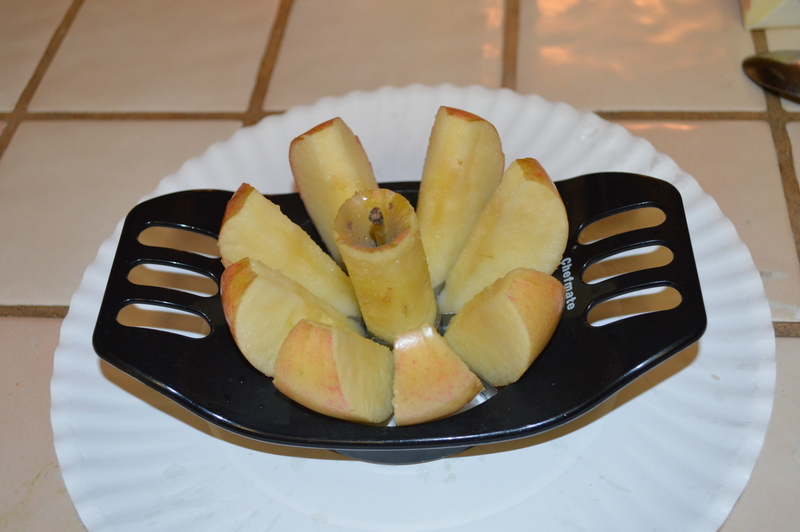 stretch them slightly to create a small, roundish quarter inch medallion and sit aside while prepping the apples. 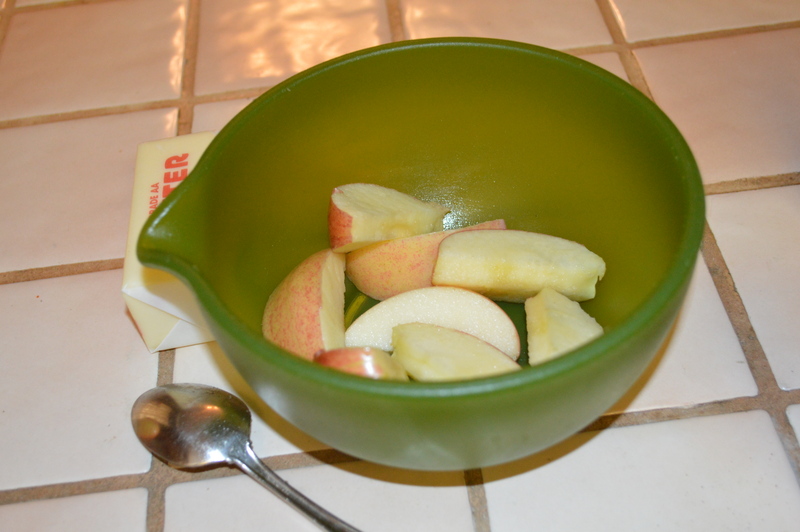 Before you begin cutting the apples, melt a stick of butter in a pyrex pouring cup. 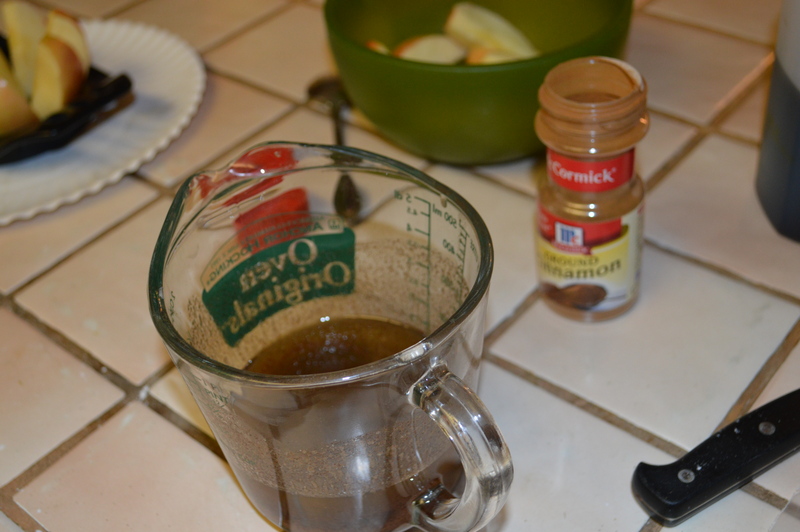 Add in 3 tablespoons of white cane sugar, a teaspoon of vanilla, and your preferred amount of cinnamon. I added a couple table spoons because it really adds to the flavor of the apples. Chop and core your apples. I leave the skins on because it adds a good flavor element. Now your choice of apples is entirely decisive. I used Gala because they are bomb dot com. Grannie Smith are also good because they have the tart element. any other type is too sweet and will make your insides churn. put them in a bowl and douse them in the sugar butter mixture you’ve created. This allows the sugar compounds adhere to the apples and coat them nicely. 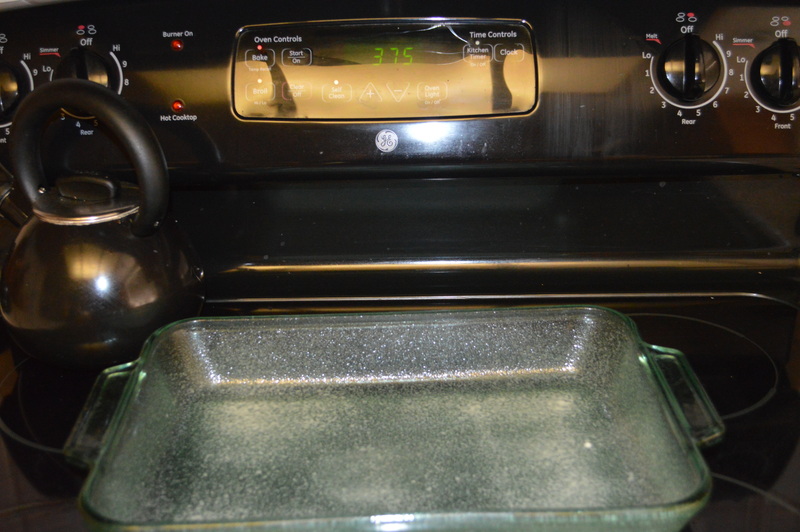 Next up, preheat your oven to 375 and grease a glass pan. 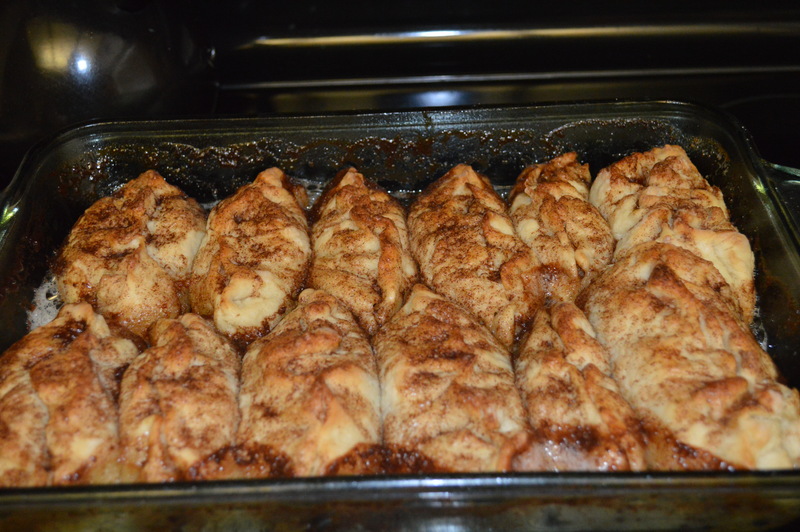 start putting the apples in the dough medallions with a spoonful of the residual sugar mixture. 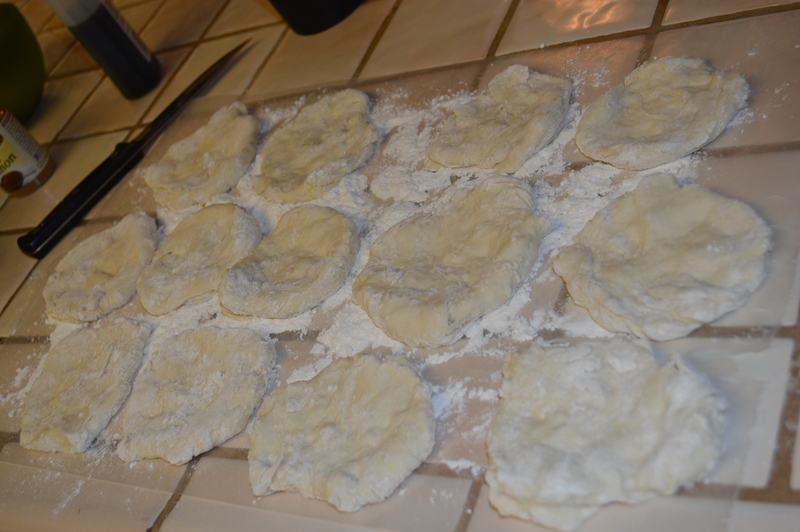 Pinch the dough upward to create a “wonton-like” package. Make a second batch of the butter mixture using the same ingredients. This will go into the bottom of the pan and over top of the pre-cooked dumplings. 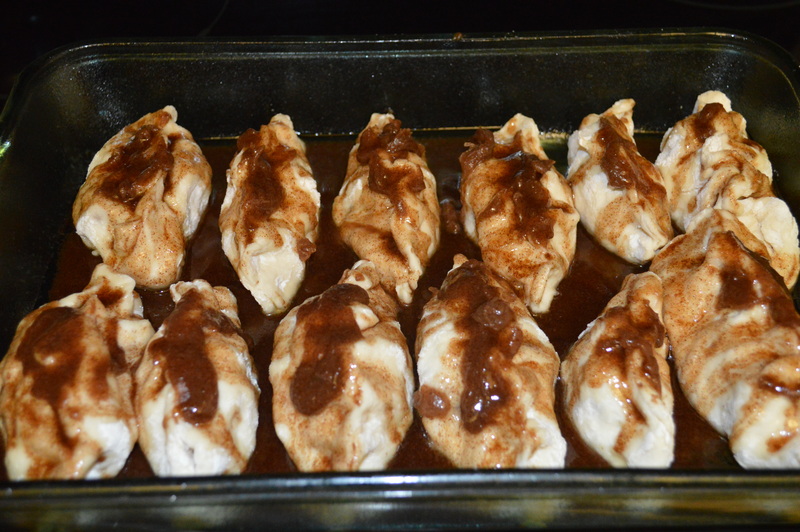 Lastly cook the dumplings for 30-35 minutes. Your house will begin to smell like Christmas. Once they’re done, take them out and let sit for 10 minutes. Keep in mind that even though the outside will be luke warm to the touch, the apples on the inside will be SCORCHING hot and will burn your tongue. For optimal deliciousness, put a couple pats of butter over the top and let melt, because in all reality, EVERYTHING is better with butter! Bon Apetite!